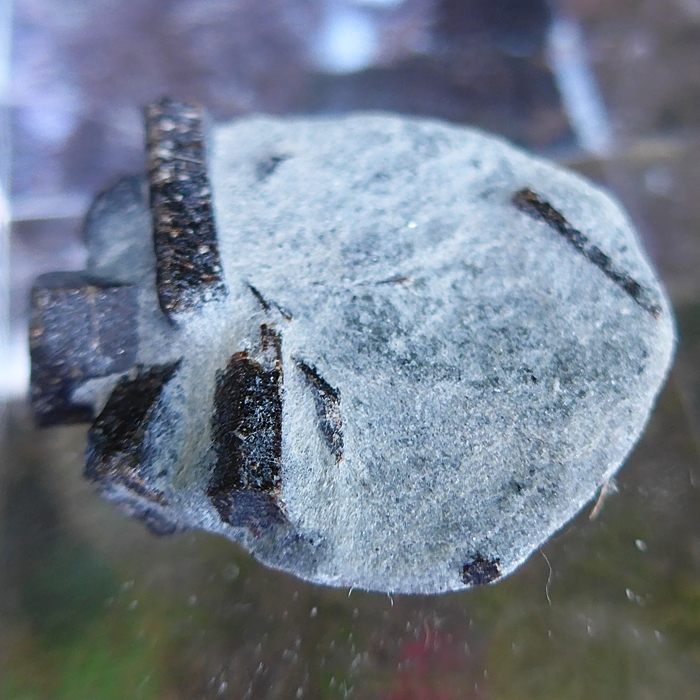 Dimensions (HxWxD): 1.65" x 1.75" x 0.375"
This beautiful 1.75 inch wide Six Armed Staurolite Shield, weighing approximately 24 grams or .85 ounce, is a complex crystal formation from Keivy, a city in the Kola Peninsula of far Northern Russia. 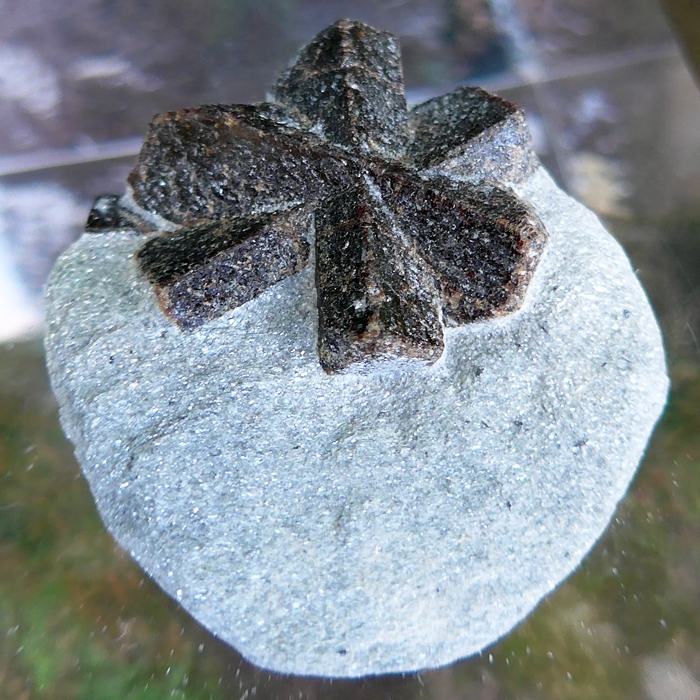 The staurolite appears as an umber and siena colored cross embedded in a pale & glittering matrix of muscovite, mica and schist, which create a myriad of tiny sparkling inclusions. 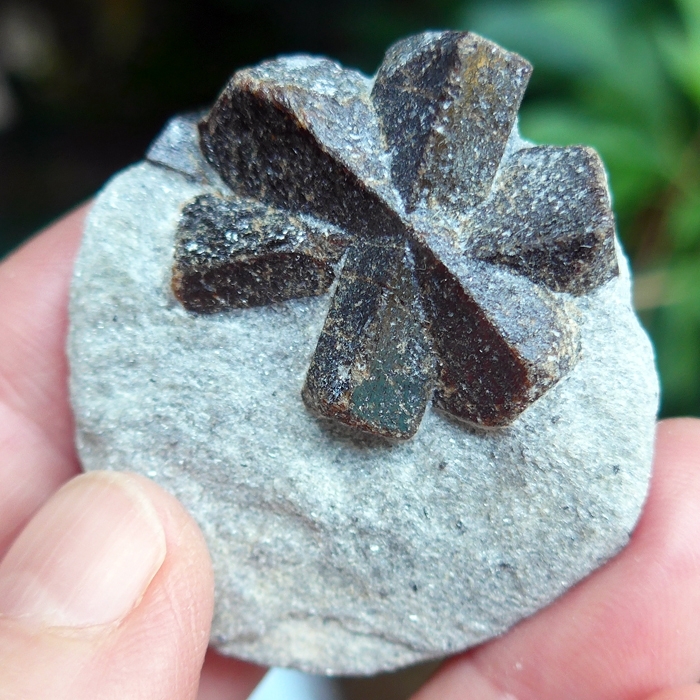 Six-armed Staurolite Crosses like this one are among the most coveted by mineral collectors and Lightworkers. 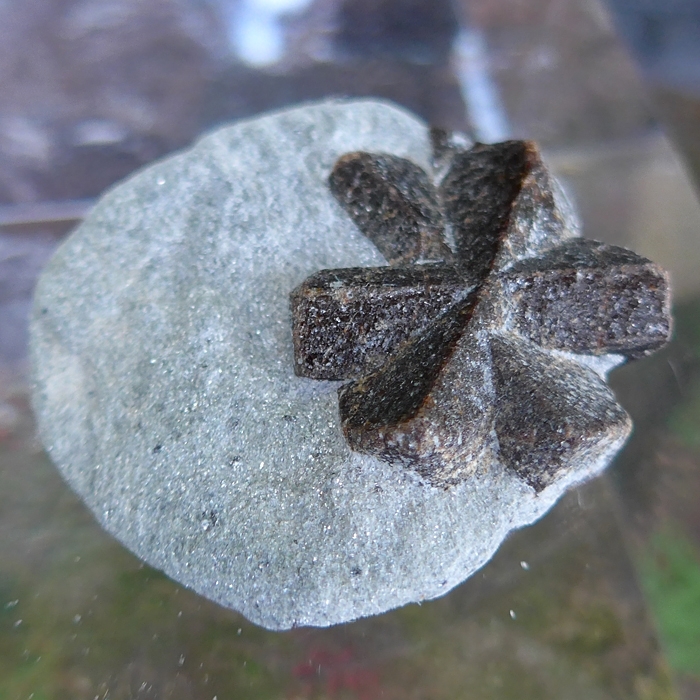 The six-sided star, the Star of David, is traditionally associated with the Union of the Divine and the Earthly realms, expressed in the wisdom of the ancients -- "As above, so below." This phrase comes from the beginning of The Emerald Tablets of Thoth, and embraces the entire system of traditional and modern wisdom school teachings of both East and West, which was inscribed upon the tablet in cryptic wording by Hermes Trismegistus. This simple phrase holds the key to all mysteries.Macrocosmos is the same as microcosmos. The universe is the same as God, God is the same as man. Or, as the ancient Hindu Vedas tell us -- "Tat Tvam Asi", "Thou Art That". During the Libran month, on October 21, 2018. in the northern hemisphere, the Orionid meteor showers will be visible. At this time of year, when sensational meteor showers, largely composed of iron, traditionally streak across the night sky, Esoteric Christian philosopher Rudolph Steiner’s clairvoyant vision saw the traditional flashing iron sword of Michael. 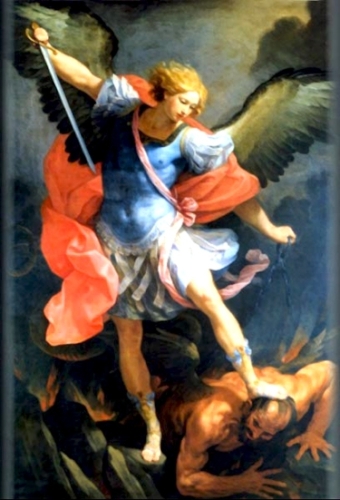 The meteoric sword of Michael was thought to cleanse the Earth’s atmosphere of summer's sulfurous influences, allowing the Higher Self to emerge and guide the initiate along the path of Spirit toward the birth of the Inner Christ Light, an event which takes place in December, during the festival of Christmas. Note: Weight above is shipping weight. Net Weight is .85 oz. or 24 grams.